DTCO - The Waves are calling and we must go! DTCO solemnly stated that the company has not conducted any healthcare-related ICO fundraising. Some people impersonated DTCO to issue false healthcare ICO and fundraising information by various channels including Line groups. DTCO has taken legal action. Investors please be cautious, do not be fooled. Personal Health Records Operating System is specially designed for the healthcare industry with a patient-centric approach. 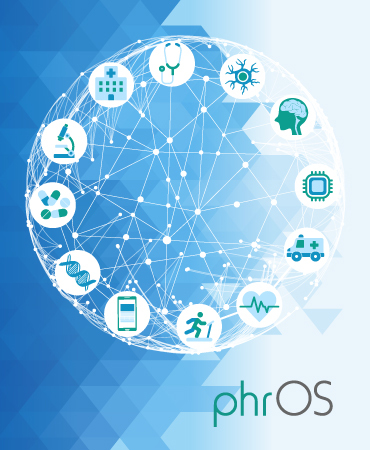 phrOS encourages healthcare related entities to jointly create ecosystem applications. By integrating blockchain technology, phrOS has showed outstanding advantages for insurance claim, security & continuous care. 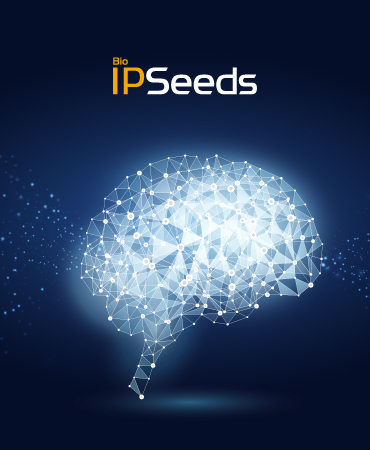 The world leading blockchain-based P2P platform aiming to foster early stage collaboration between academia and the global industry in the pharmaceutical and life sciences fields. 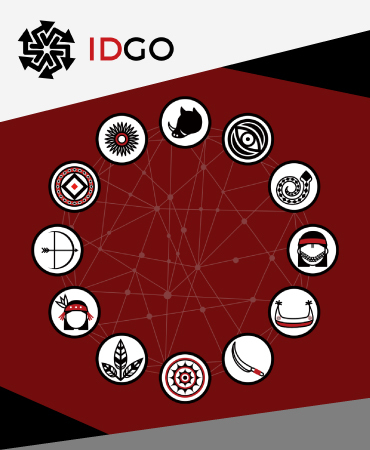 IDGO is a global project using blockchain technology to lift up isolated communities. It brings self-sovereign identity, community cryptocurrencies and culture mining platform to those that need it the most. Blockchain ID solutions that transcend organizations and countries, delivering rightful ownership to the applicant. Its usages are countless and multipurpose: healthcare, banking, administration... Self-sovereign identity is GDPR compliant and transform long-standing issues into solutions. DTCO has in-depth knowledge of blockchain architectures and can deliver great added-value by integrating blockchain to various industries. 2 Way-peg technology is unique from DTCO and allows a secure & fix transaction rate between public token and private chain cryptocurrency. SideChain technology ensures high-speed and low transaction cost. DTCO can provide in-depth review of smart-contract, ICO and blockchain integrated architecture. Based on our direct experience in various industries, we propose solutions both from a technical and a business perspective. Our insights helped numerous enterprises to deliver major breakthroughs. Digital Treasury Corporation (DTCO) was founded in 2014. The corporate management consist of blockchain developers along with influential members from the fields of finance, ICT, biomedical and healthcare industries. As a leading company in decentralized technology, DTCO proudly serves as a bridge between businesses and blockchain by providing a range of applications for biopharma, healthcare, e-identity, energy and crypto finance. Through industry collaborations, we are confident that blockchain can bring great value to society. A rocker, designer, DTCO co-founder and CEO, Initiator of Healthcare Blockchain Alliance. One of the earliest Blockchain Technology startups in Taiwan. 20 years experienced history of working in the financial information technology and ICT industry. Skilled in product management, trading systems design, business development, marketing strategy, and cross-functional team leadership. DTCO Co-founder and CTO. He has 15 years of hand-on involvement in IT and financial industries with deep knowledge in cryptography, SW/FW/HW integration, mobile solutions, blockchain application platform design. In DTCO, he leads and drives the technical builds from crypto wallet to other technology deliverables. He is our senior leading engineer who brings out the deep-dive structure design that has inspired DTCO in several ways. DTCO Co-founder and Technical Lead. He has 10 years of experence in electronic and financial industries, system design, database, mobile device for both Android and iOS. COO of Taiwan Research-based Biopharmaceutical Manufacturers Association, Chief Government Affairs, Orient Europharma Co., Former Director of Government Affairs of Novartis Asia Pacific. Independent Director of Yuanta Financial Holdings, Advisor of Taiwan Institute of Economic Research. Former Chairman of Taipei Exchange, Dean of College of Management, Chang Gung University. The Waves are calling and we must go!